Watch: Bigg Boss 11 Contestant Luv Tyagi's Audition Video Goes Viral! Home TV Watch: Bigg Boss 11 Contestant Luv Tyagi’s Audition Video Goes Viral! 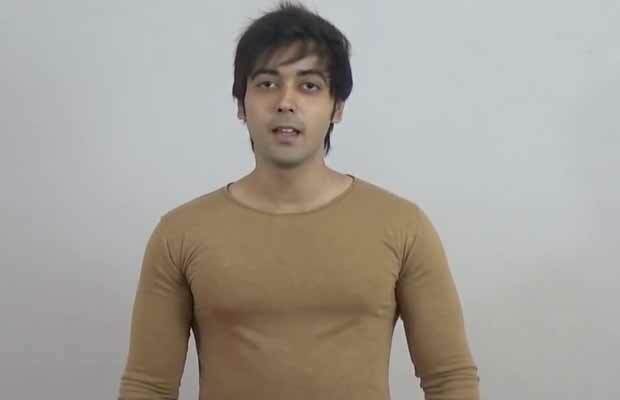 Watch: Bigg Boss 11 Contestant Luv Tyagi’s Audition Video Goes Viral! Here’s the audition video of the Bigg Boss 11 contestant Luv Tyagi. The controversial reality show Bigg Boss 11 is in its tenth week. And fans are loving this season. With lots of fights, arguments, changing relationships, and a bit of love, the season has proved to be a perfect package of entertainment. And amid the daily episodes of the show, the audition video of the contestant Luv Tyagi has gone viral. The video sees him talking about himself, his personal details. Luv talks about what he does and how is he. He even reveals that he had applied for Bigg Boss 10. But he did not get selected. The contestant tells that he has always wanted to do acting and wants to make his career in that field. Although he does not like modelling. Talking about the show, this week Bigg Boss has invited the near and dear ones of all the contestants. Yesterday, we got to see Puneesh Sharma and Arshi Khan’s fathers, Shilpa Shinde’s mother and Priyank Sharma’s ex-girlfriend Divya Agarwal. Today we will get to see some of the other relatives of the house members. Hiten Tejwani’s wife Gauri Pradhan and Hina Khan’s boyfriend Rocky Jaiswal will also be seen on the show. Along with them, from Luv Tyagi’s family it will be his father coming inside the house. When Luv’s father entered the house, his son completely broke down after seeing him. He met everyone in the house. And he even praised Shilpa saying that everyone in his family is a big fan of hers. See here: Bigg Boss 11: Luv Tyagi’s Bonding With His Father Will Leave You Teary Eyed- Watch Video! Meanwhile, Shilpa Shinde and Akash Dadlani are the ones nominated this week for leaving the house. Previous articleBigg Boss 11: Luv Tyagi’s Bonding With His Father Will Leave You Teary Eyed- Watch Video! Next articleHere’s The New Addition To Race 3 Star Cast And Salman Khan Finds It Jhakkas!